General Information » NLMAS OPENS DOORS! 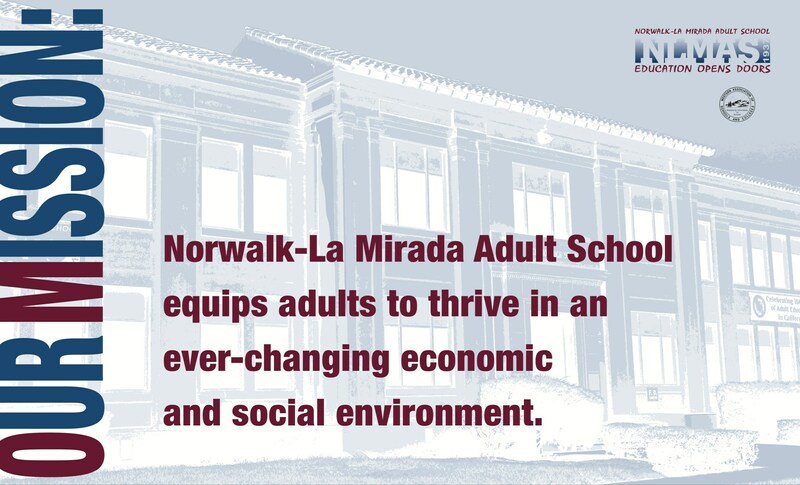 The Norwalk-La Mirada Adult School prepares you for college or career! Acquire new skills or training needed and/or get a high school diploma! 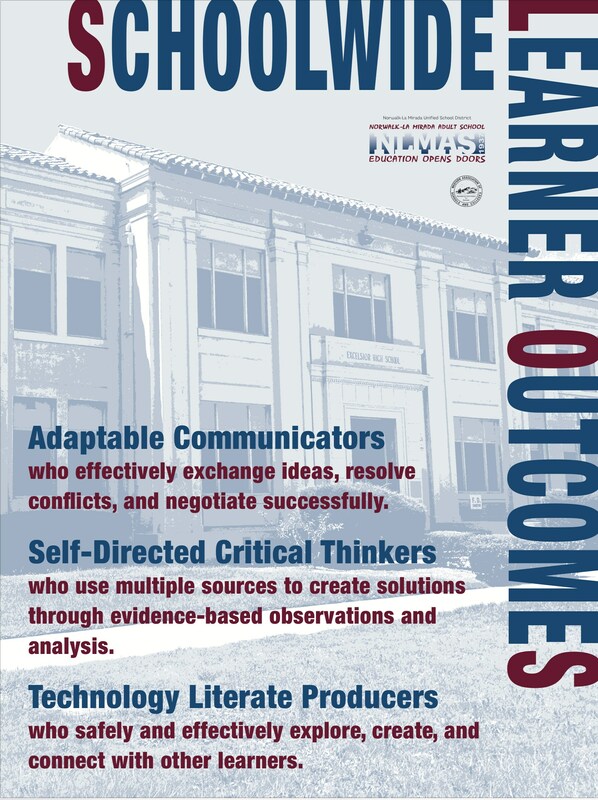 Become familiar with our Mission Statement and School-Wide Learner Outcomes!